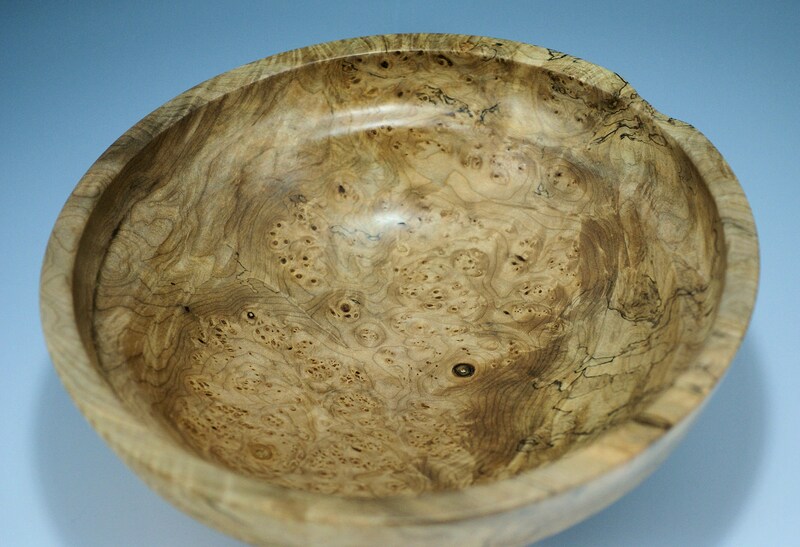 This piece is made from Oregon Maple Burl. As wood goes this is a hard wood because of the burling. 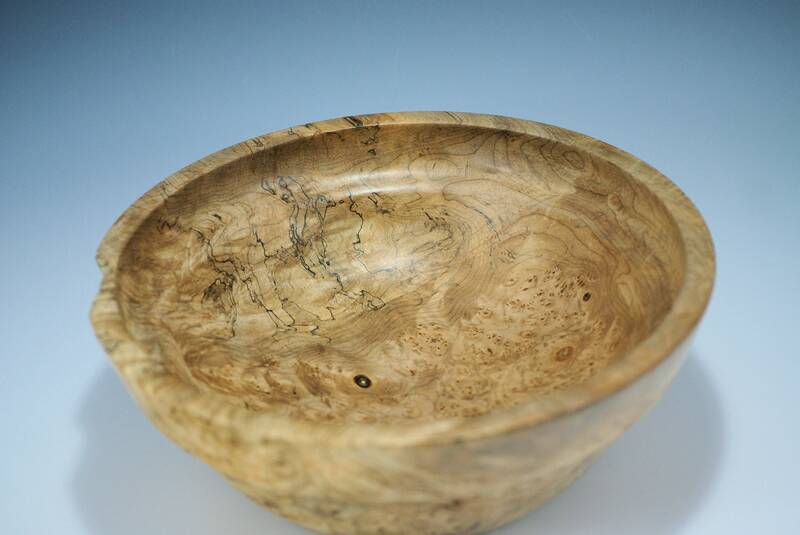 It was turned on may lathe with hand tools and finished to 800 grit and then polished with Walnut Oil and Carnuba Wax. 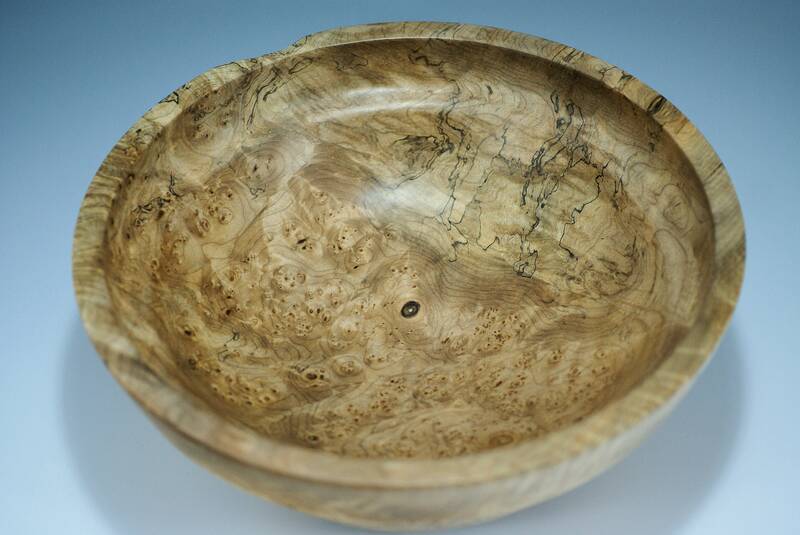 As a display bowl goes it will look good anywhere you choose to display. 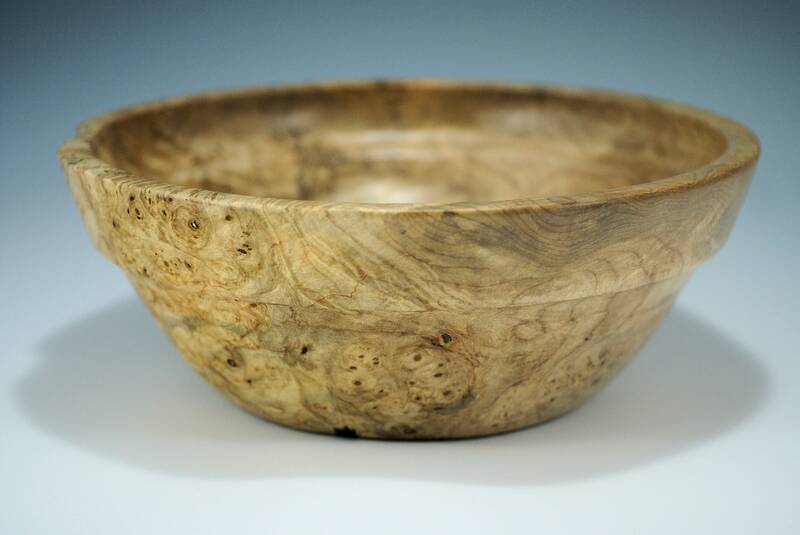 You can get lost looking into the wood grain and burl eyes, seeing many shapes and designs. That is one thing that I enjoy the most is applying the oil and wax. I hand rub in 5 coats of finish, which gives me plenty of time to enjoy all of the wood. As a gift this is a one of a kind and will be appreciated forever. It is also one of those heirlooms many will want. 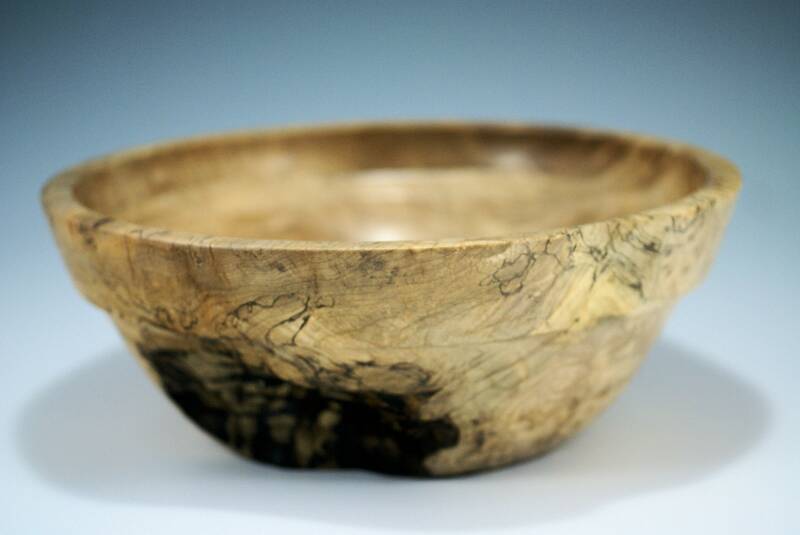 The bowl is 10 3/4" in diameter and 4" tall and weighs 1lb 12 oz.